One of the most popular items here at Trei Cafe. We were told that they were out of the vanilla and nutmeg co yo ice cream (coconut milk vegan ice cream) so we happily settled for plain old vanilla ice cream instead. 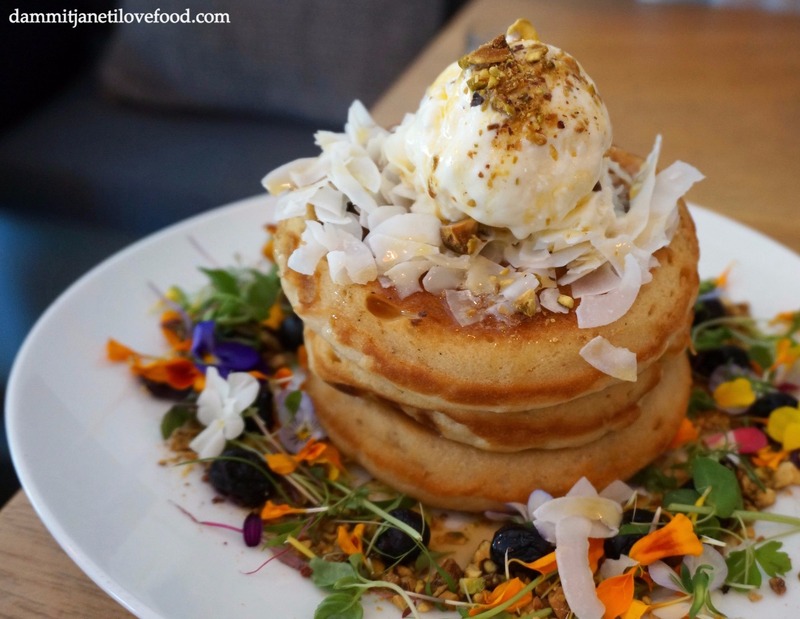 Now I really liked the colourful presentation and the generous serving size, however these hotcakes were not as fluffy as they could have been and were also markedly salty. Healthy, refreshing and very colourful. Simple bright decor, average service, ordinary food. The east side is desperately in need of good brunch places, and after my visit to Trei Cafe I still believe that this is the case.